Now that I am going to become a new dad for the second time, I have been reflecting a little bit more on what it means to be a good dad. I have this feeling that when you have more than one child, then you are really a dad… As if just having one doesn't count yet. So, I have been readin’ up on some new dad skills that I will have to re-employ come April (it’s been 3 years since my first son was an infant! ), and I found some very helpful guidelines about crying. No, not my crying, the baby’s crying. Hey, that gives me an idea – I should write a guide about how to stop parents from crying during the toddler years. Anyway, have you ever heard of PURPLE crying? I hadn’t until I cracked open, once again, one of NFI’s Doctor Dad® fathering handbooks. PURPLE is a nice acronym to help you understand the types and times of non-stop crying in infants – the kind that is most frustrating and difficult for parents to deal with. Then, of course, there is just routine crying, like when baby is hungry. So, how to respond to all these kinds of crying!? 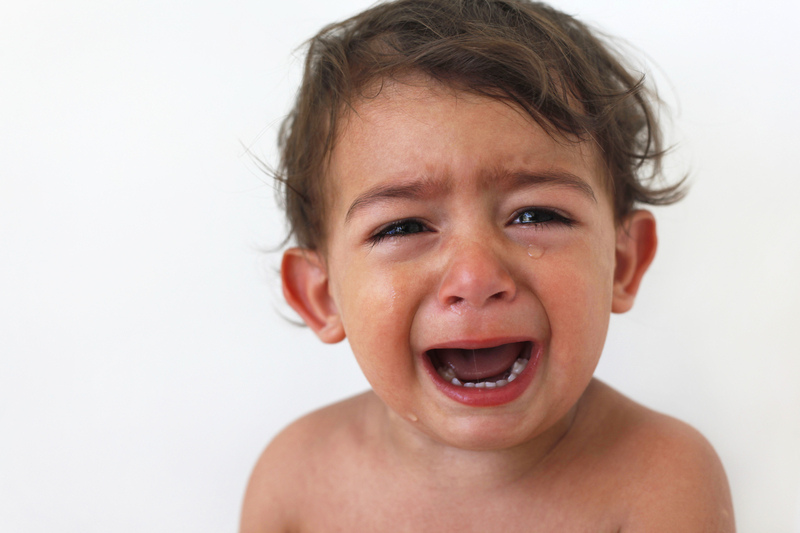 First and foremost, babies cry because they need something. Sounds simple, but in the heat of the moment, it is easy to think your baby is crying for no reason, or worse, just to personally annoy you! But once you accept that there is an actual reason for the crying, you can proceed productively. Enter the “Crying Baby Flowchart”! This incredibly helpful diagram takes you through a step-by-step process to determine why your baby is crying and how you can help stop the crying. It comes complete with illustrations and clear instructions to make your new dad life much easier. Finally, I would be remiss to not mention that you should never shake a baby for any reason. If things are getting way too frustrating, and no one else is around to come in for relief, make sure your baby is safe and then just walk away. Go in the next room. Sit down. Have a cold drink. Your baby is not going anywhere. When your blood pressure has come down a bit, head back in and give things another shot. So, do you have any great ideas on how to stop a baby from crying? What worked best for you?